These photos were taken last March, 2011, by my niece Emily Bastian, at the Annual L. L. Bean Spring Fishing Expo; held at their Flagship Store in Freeport, Maine. I am pleased that I have been invited to return this year, and I feel very honored to participate in this Expo, to join in the celebration of the 100th Anniversary of L. L. Bean. 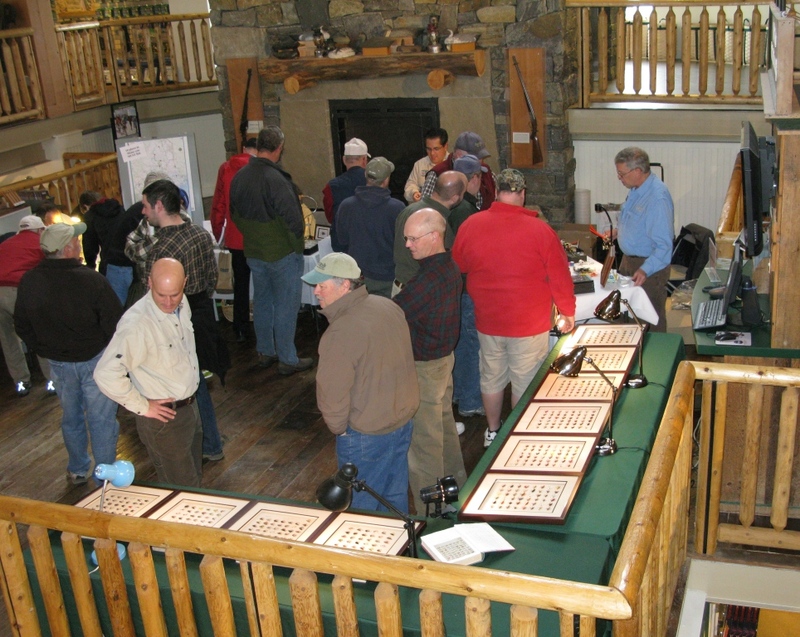 View of the Featured Fly Tyers area, including my framed wet fly display of 483 patterns from books by Ray Bergman, on the mezzanine at L. L. Bean, Freeport, Maine, Spring Fishing Expo 2011. This set is now in the possession of a private collector. The Expo this year will be held on March 16 – 18. 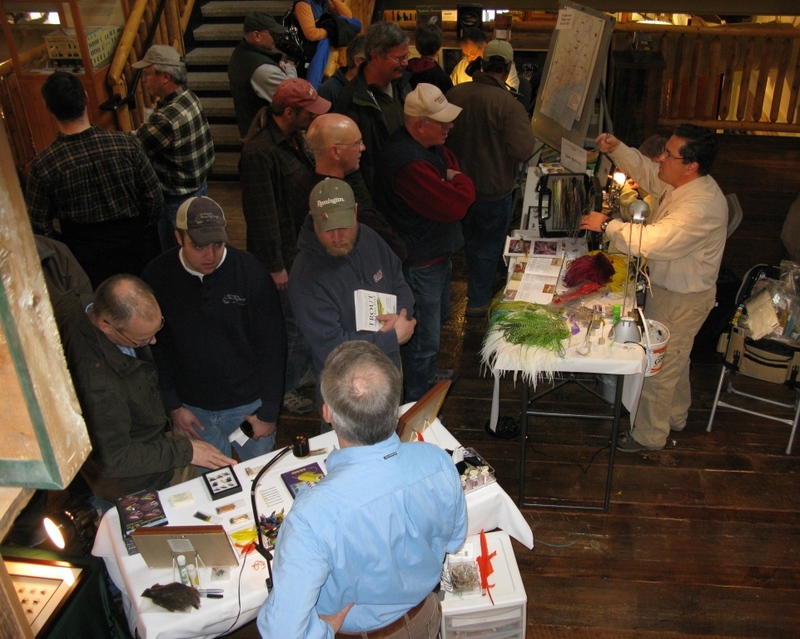 I am presenting a fly tying demonstration on Friday, March 16th, from 1 to 5 PM, in this area of the store on the mezzanine you see in this photo; and then I am teaching Bean’s regular Friday evening Fly Tying Class; we will be tying the Footer Special. 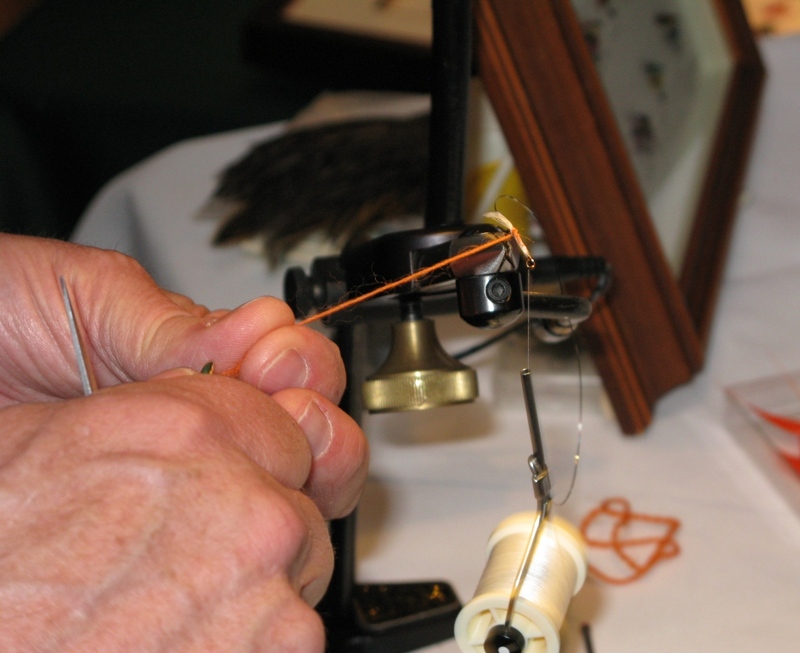 The classes are free, and held in the fly tying department on the second floor. This year I don’t have a set of wet fly frames like I did in 2011, but I will have 40 or more different Carrie Stevens streamer patterns tied by me as part of my display. Frame Nos. 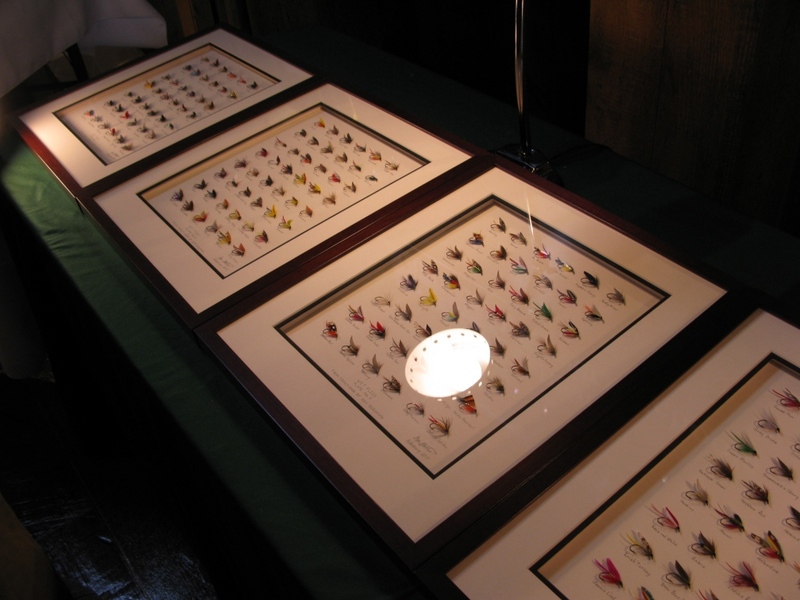 1 – 4 of my wet fly display from Ray Bergman’s 1938 book, Trout. Don Bastian at the L L Bean Spring Fishing Expo 2011. I can see and remember; the orange wool and white tail – I am winding a wool body for a Fontinalis Fin winged wet fly with my hackle pliers. (I had to wear this blue shirt from the International Fly Tying Symposium); I wanted to wear my light green L. L. Bean 2010 Spring Fishing Expo shirt that day, but it accidentally got a steam iron-shaped hole in the right sleeve in my hotel room that morning. The previous user of the iron apparently had it cranked up to HIGH, (which I failed to notice). Luckily for me, my sister-in-law in nearby New Gloucester came to the rescue with a replacement shirt. Whew! Getting ready to grip the orange wool with my hackle pliers for the Fontinalis Fin…both scissors and hackle pliers in hand…(this photo was taken ahead of the one above where I am already winding). The use of hackle pliers on a single strand of wool prevents your stroking finger action form pulling the wool apart. Hackle pliers also enable you to wrap more precisely than by hand. 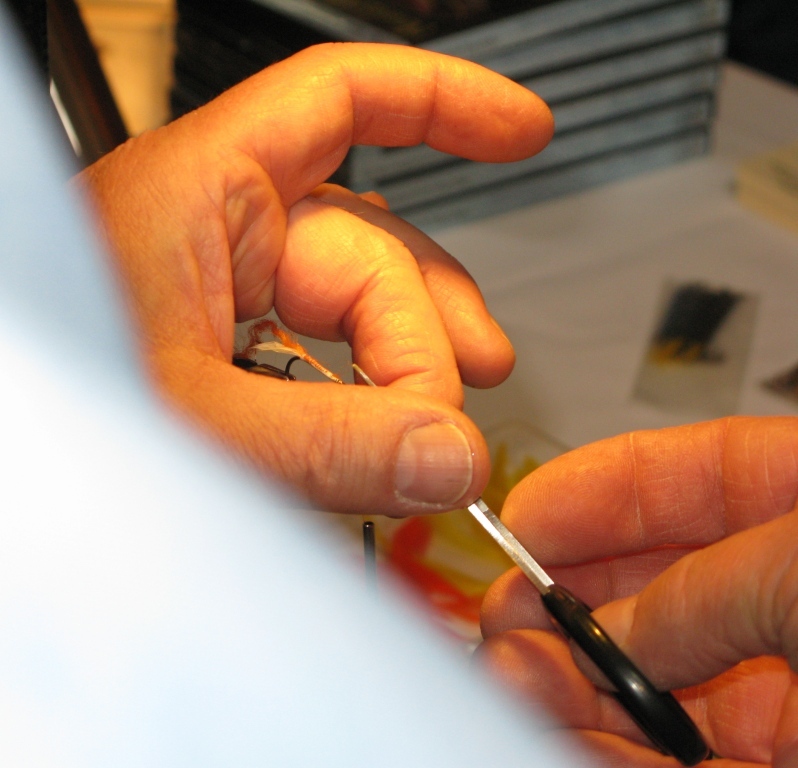 Over-the-shoulder hands-on image – working on the Fontinalis Fin wet fly. The white tail and orange wool is clearly visible. This photo is prior to the two above images in the tying sequence, and I’m not exactly sure what tying procedure I was doing when this image was taken. 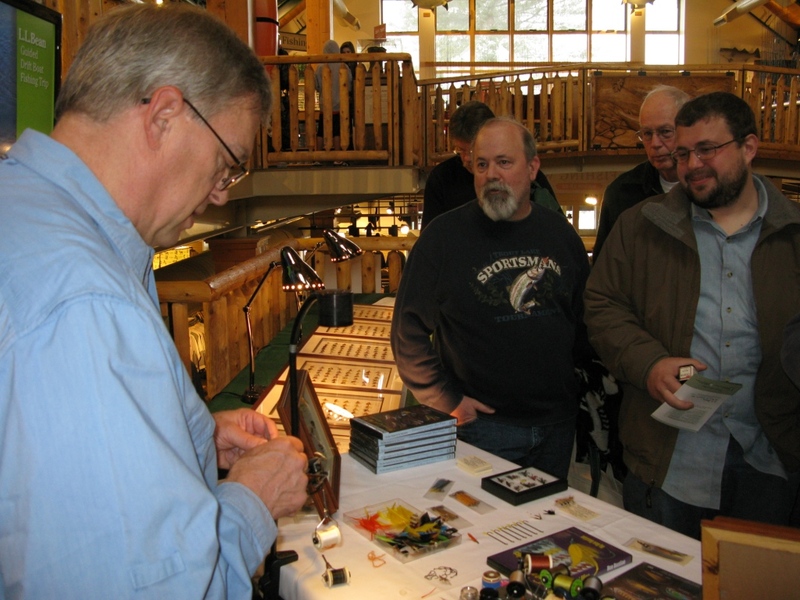 Don Bastian explains wing quill cutting to visiting members of The Penobscot Fly Fishers. Don Corey of Annika Rod and Fly is partially hidden in the back; the fellow in front took my class a week later, and I can only remember he has close relatives that live within 20 miles of Cogan Station where I live. Small world. My brother Larry shares a laugh in the left foreground. Fellow tyer and friend Joe Cordeiro is to the upper left. 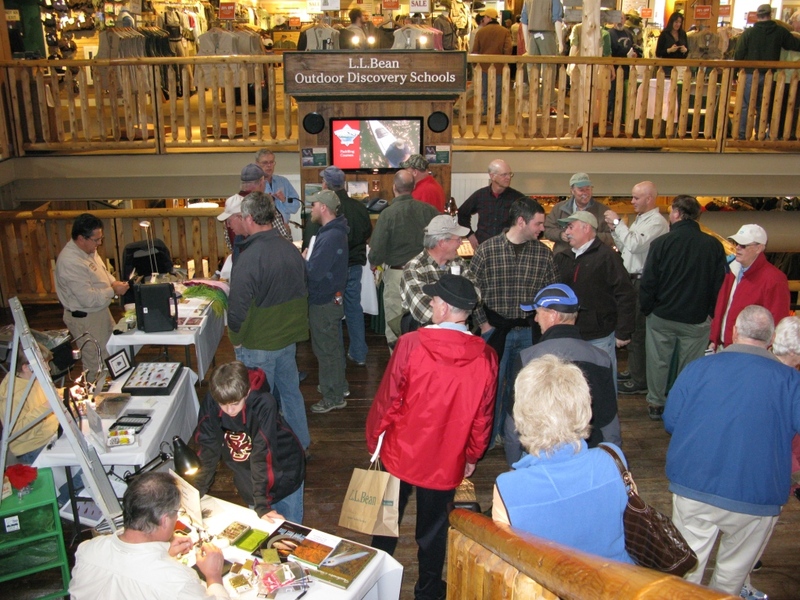 Crowd visiting the Featured Fly Tyers at the L. L. Bean Spring Fishing Expo, March 2011. 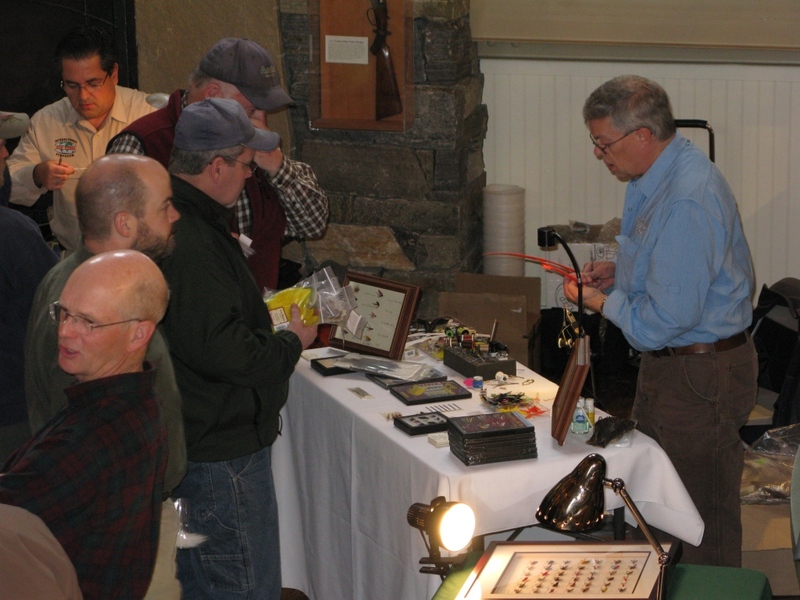 This entry was posted in Fish Stories and Other Tales, Schedule and Events and tagged Don Bastian, Footer Special, Freeport Maine, Joe Cordeiro, LL Bean Spring Fishing Expo, Maine Warden, Ray Bergman. I was there last year, but you and I had not yet met. I’m planning on being there this year, so watch out. It will be nice to see you again! I’m looking forward to seeing all three days. Can’t wait. It will be good to see you again too, Jim, thanks for your comment here! It was a lot of fun to be at Bean’s for their Expo CJ, thanks for your compliments! That set was the third time I tied the wet flies from Bergman’s books; the first time was for Forgotten Flies, and then three times since for private collector’s sets, 4x in all…Thank again my friend!